If you’re a human resource professional seeking accreditation with the Society for Human Resource Management (SHRM), you can now prepare for the exam with a new online curriculum at Post University. Our SHRM course helps you prepare for the exam and get on your way to earning certification from this distinguished organization. 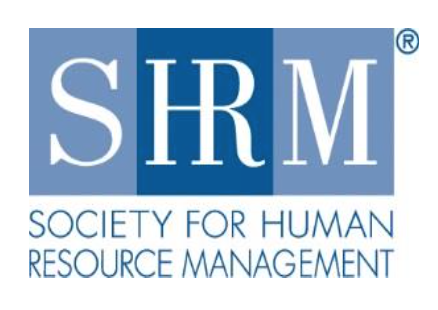 When you’re SHRM certified, you’ll be universally recognized as a human resource expert, which can open doors for professional advancement worldwide. Employers recognize the distinction, and they’ll know you have what it takes to be a leader in their organization and across the industry. Now you can get ready for the exam through Post University’s partnership with SHRM. Our preparation course is an intensive program that combines expert instruction with the SHRM Learning System, so you’ll learn faster, retain more, and stay on track for success on the exam. Students who pass the exam can become either a SHRM Certified Professional (SHRM-CP™) or a SHRM Senior Certified Professional (SHRM-SCP™). Offered in partnership with SHRM, Post’s curriculum covers the entire SHRM Body of Competency and Knowledge™ which helps you acquire the competencies and knowledge you’ll need to perform effectively and to get ahead in your career. As part of your course, you’ll receive the SHRM Learning System for SHRM-CP/SHRM-SCP, which includes five comprehensive learning modules in print and eeaderformats, as well as advanced online resources. The system provides structure, streamlines study time, and builds confidence for passing the SHRM-CP/SHRM-SCP exam. We’re also fast and convenient. While most schools require students to travel to campus to take a 12- to 14- week course, Post University’s SHRM Preparation Course is completely online, and takes just 8 weeks. Already certified? Get SHRM’s new certification at no cost. SHRM’s new certification path is simple and clear. As a result of your proven knowledge and skills, you are already eligible to earn the SHRM-CP or SHRM-SCP. If you’re already certified (PHR, SPHR, GPHR, HRBP, HRMP*) and are in good standing, you are eligible for SHRM’s new certification—at no cost. Find out more by contacting SHRM Certification. Program Requirements: There are no admission requirements to take this program – however, certain criteria must be met for participants taking the SHRM-CP or SHRM-SCP exam. The testing windows are the dates during which the exams are administered. The regular application deadline dates are the dates during which candidates can register for the exam. For candidates who apply during the late application period a nonrefundable late fee will be incurred. Get in touch with an admissions counselor today. Learn about the courses, how to qualify, class schedules and more.